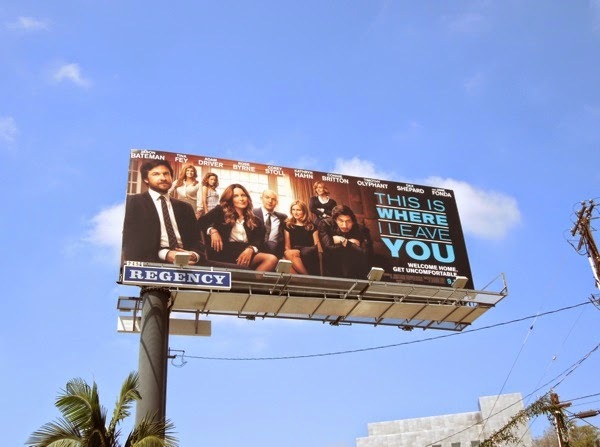 This September it looks like the family funeral dramedy, This is Where I Leave You, will be the perfect antidote to a Summer filled with giant monsters, robots-in-disguise sequels and horseback riding apes. 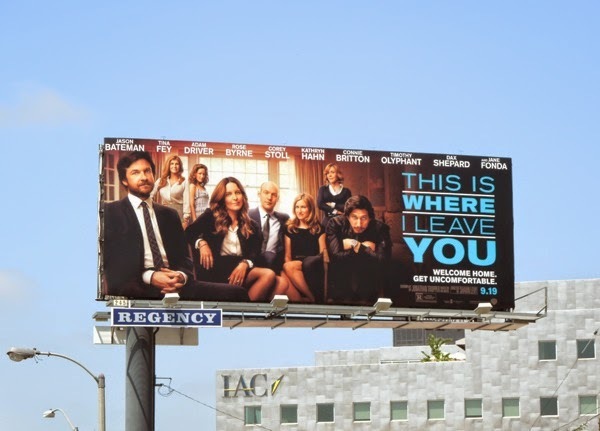 Based on the 2009 novel by Jonathan Tropper, this adaptation directed by Shawn Levy features a star-studded ensemble cast of troubled siblings who reunite for their father's funeral. And when Jane Fonda plays mother to the likes of Tina Fey, Corey Stoll, Jason Bateman and Adam Driver, you know that the neuroses, rivalries and emotions are going to boil over into some spectacular drama. 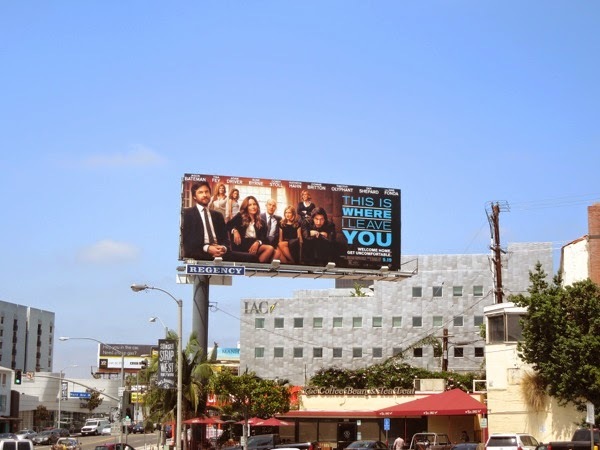 This family gathering billboard was spied along Sunset Boulevard in West Hollywood on July 15, 2014. 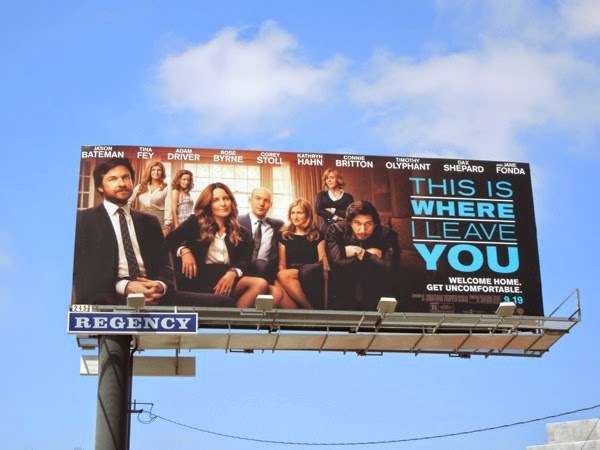 If you're a fan of the actor, be sure to check out some of Jason Bateman's TV and movie billboards and here's also Tina Fey in a Golden Globe Awards billboard from earlier this year. And remember, there's nothing like watching someone else's uncomfortable, dysfunctional family to make you feel better about your own.